Find the podcast on the YouTube Channel or on iTunes, on Ravelry and Instagram as krisluvswool, and on Twitter as @inasKnit. Don’t forget to join the Ravelry Group! My In Transit Cap & Cowl pattern is available for sale on Ravelry. Thanks, new and returning visitors! Wildflower socks by Fawn Pea in OTT Prime in the Miss Fisher's Pearl Handled Pistol colorway. Project page. 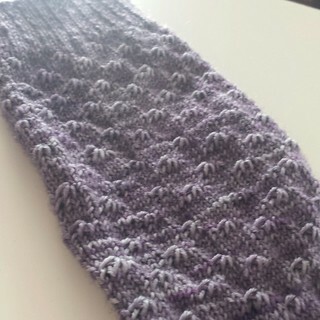 My sock blanket using a modified version by Shelley Kang. Project page. Check out Tink Yarn's colorways and bases. Go to the giveaway thread and tell us what you love! You could win a skein of their sparkle sock in the Changing Seasons. Enter by 2/26. One post per person, but feel free to update your single post with as many projects as you'd like to share! Must say how each object represents a treat to yourself!